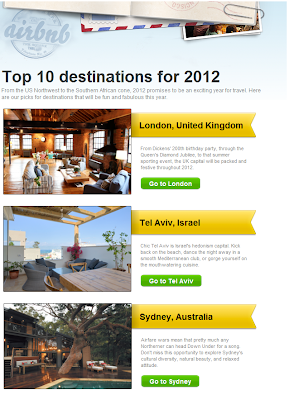 I love Tel-Aviv: ... because it's one of Airbnb's Top Ten Destinations for 2012! 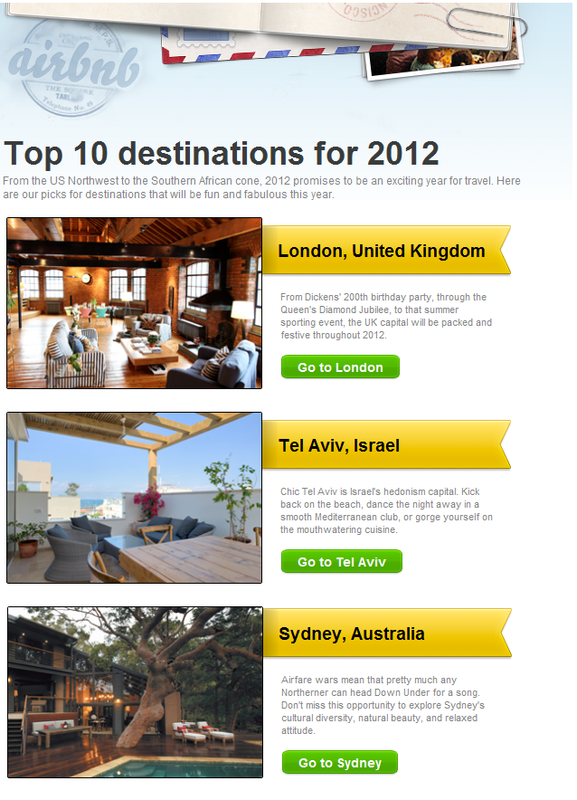 ... because it's one of Airbnb's Top Ten Destinations for 2012! Airbnb, a popular online service that matches people seeking vacation rentals with those with rooms to rent, had listed Tel Aviv as one of its top ten destinations for 2012! To be exact, Tel Aviv is listed the second in this list. Right above Sydney. Right below London... Nice neighborhood to be in! Mazal tov to Tel Aviv! That is quite an honor. One of our most terrific qualities is furnishing our voyagers with a horde of alternatives. Since there are numerous residences to browse, you are certain to book a flat that gives you the peace and calm required throughout your get-away with the solace and space that an inn room needs.